VDB Shower Drains > ABS Plastic Shower Drain 150x150mm (Steel Grate). 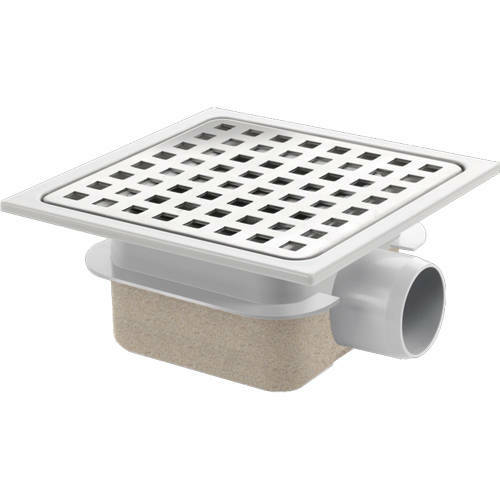 Van Den Berg square ABS plastic shower drain with stainless steel grating. ABS plastic body with brushed stainless steel grating. Removable water trap (35 mm). Height adjustable grating and frame. Suitable for shower rooms and bathroom floors. Glueable vertical outlet: 40 mm.